A shocking discovery was made this morning on one of our Thames Rockets speed boats of a huge ‘bite’ which appears to have been made by a shark in the River Thames near the London Eye. The damage done, at around 08:30 this morning, will cost over £10,000 to fully repair. The team here at Thames Rockets are devastated to announce this news. Never before has an incident of this type been reported on the river. Assistant Manager Mike Cole was conducting regular checks of the boat early this morning when he found the enormous chunk missing at the bow which he reported “looked just like a shark bite”. 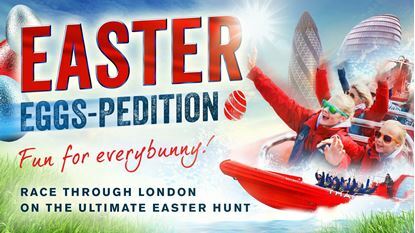 Immediately numerous police boats sped down the Thames to surround the discovery. Mr. Cole said “I cannot believe this, I am in complete shock. I have worked for Thames Rockets for over 8 years now and never in my time have I ever encountered something as shocking as this. We’ve all heard of the rumours that sharks, dolphins and whales have been seen in the River Thames but never did I expect to find something like this!” We are extremely saddened by this news, but we can assure you we are solving this issue as quickly as we can. At Thames Rockets our main focus is to keep our customers happy and to deliver the best experience possible onboard. 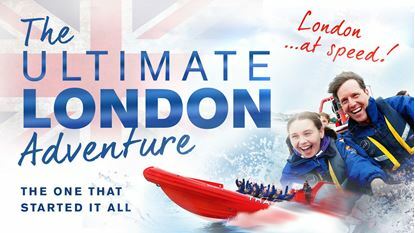 Police have been onsite this morning inspecting the River Thames and the London Eye Pier where our most popular trip The Ultimate London Adventure departs from. Police have reported this as a serious incident and many other companies that operate boats along the famous river have also been affected. The police have been extremely busy this morning with a number of calls reporting similar incidents, but unfortunately Thames Rockets has been reported the worst bite of them all. Police are sending out a search for the shark as they have been unable to locate it at this current moment. If you do see a shark in the River Thames then please call us on 020 7928 8933 as we need to find this shark as soon as possible to make sure it does not cause any further damage. Following the below recently taken picture, the police have (rightly) said that we probably should have seen this coming. We will be updating you on any further information we receive and hope that Rocket One will be back out on the river very quickly. Please contact us for any further updates or if you manage to locate this shark.